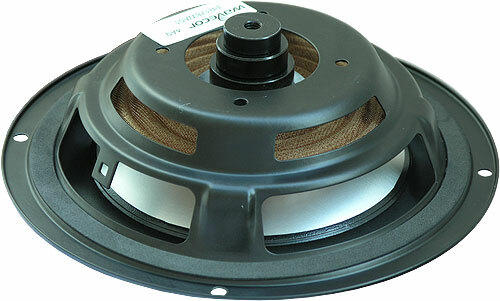 PR178WA01 is a passive unit designed for dedicated subwoofer applications - as a partner to our active subwoofer units. Due to low mechanical losses PR178WA01 masters equally well low level details and extreme dynamic requirements. 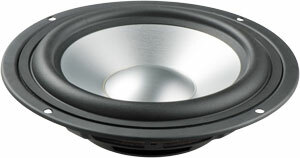 For demanding subwoofer applications using a passive unit is usually the only real alternative to sealed enclosures with active bass boost. To make experimenting and individual tuning convenient and easy, the PR178WA01 is delivered with three separate extra loads that are easily applied onto a threaded rod on the rear side of the cone (see picture below). Extra mass is easily added on the rear (see picture above). Either one, two or all three included mass loads can be added, or any custom mass object can be added simply using an M8 nut for fastening. The loads included with PR178WA01 do not require any nuts as they are made with M8 threaded center holes. For experiments trying out different values of moving mass for different tunings, it is usually sufficient just to tighten the loads/nut by hand. Once the final mass has been determined it is recommend to add some adhesive to secure the loads from coming loose during operation.